Item #0540: Here is everything you need to know about childhood immunization--most of which the medical profession fails to tell you. In this book, medical researcher Jamie Murphy explains what vaccines are, how they are made, what little-known toxic chemicals are used in their production, and how frequently the DPT vaccine causes local, systemic, and neurological reactions and deaths in infants and children. You will learn how our natural immunity protects us from disease and that breast milk is an infant's best protection. Parents will also benefit from learning the simple steps they can take to successfully avoid immunization for their children. 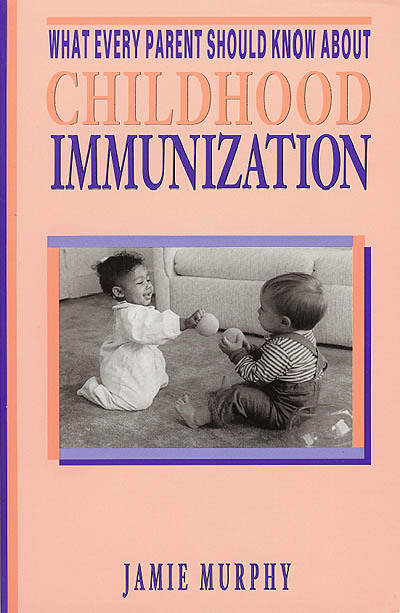 Childhood immunization is one of the most critical health issues that parents face. This book will help you face it intelligently.